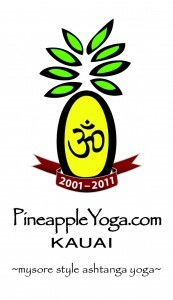 The information below was provided by Pineapple Yoga. Kirsten and Mitchell are direct students of Sri K. Pattabhi Jois. They study at the KPJAYI every year, and have Pattabhi Jois’ direct blessing/Authorization to teach ashtanga (Kirsten in 99′, Mitchell in ’03). They completed the first ‘teacher training’ given by the Institute and now hold Level 2 authorization. After completing university studies (Classics/Latin), Kirsten began exploring yoga asana on a trip to India in 1993. A few years later, she moved out to India with a one-way ticket and enough funds to last a few years, in order to find, and build, an inspired yoga practice. Along the way, she found inspiration with yogi Clive Sheridan, technique at the Iyengar Yoga Study Center in Rishikesh with Rudra Dev, her practice with fellow ashtangis Heather Duplex and Rolf Naujokat. Kirsten has been Sri K.P. Jois student since 1997. She received Guruji’s blessing/authorization to teach in 1999, and is one of few women in the world currently learning the Advanced ‘A’ series under his and Sharath’s guidance. She and Rolf Naujokat started the seasonal ashtanga classes on Koh Phangan, Thailand in 2001; they taught together for 5 years. Kirsten is also an artist, currently working on a sculpture project for 2010 and 2011. Mitchell first came to India in 1979 to deepen his knowledge of meditation and contemplative movement. 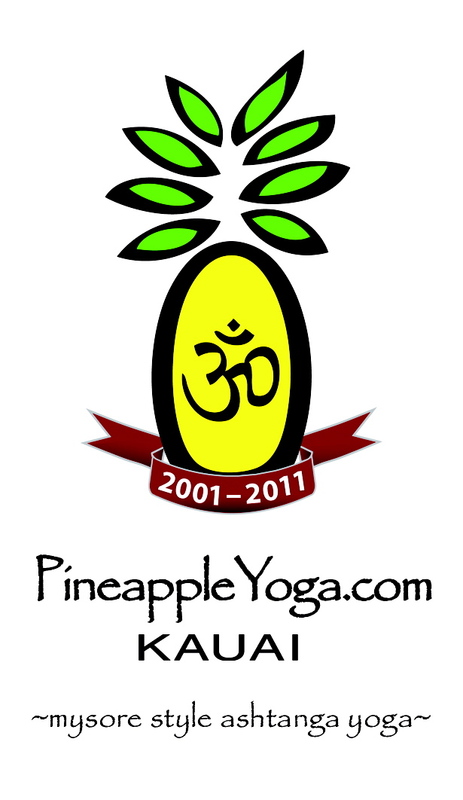 After many years of searching for the right practice, he found ashtanga yoga in 2000, and has been a dedicated practitioner ever since; he received Guruji’s authorization to teach in 2003. Mitchell also studied intensively (3 yrs) with senior teacher Dena Kingsberg in Australia as well as his studies every year with Sri K. Pattabhi Jois. Mitchell is also a talented and knowledgeable bodyworker certified to practice Structural Integration also known as “Rolfing”. Mitchell started studying different bodywork methods 30 years ago (swedish/Esalen, Traeger, Thai..) and has focused on the “Rolfing” method for the last 10 years. He will be available for sessions on Kauai upon request. The website of Kirsten and Mitchell.